We sang, we sought a very special autograph, and we smoked some weed. 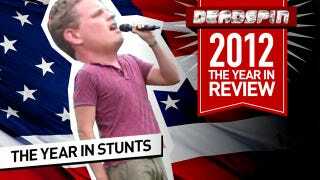 Here are the best stunts that we pulled in 2012. The Time I Tried To Get Tim Tebow To Sign "The Origin Of Species"